Last night was a classic edition of ELPH. Oilers were down 4-0 in the first 21 minutes of the game. Some of you might have stopped watching, but for those who stuck around they witnessed the Oilers storm back to tie the game with ten minutes remaining in the third period. Penguins dominated for the first 20, then the Oilers took over scoring four goals in the next 30 minutes, before the Penguins tallied twice in the final 5:22 to win 6-4. It was Exciting Last Place Hockey at its best. You can’t ask your team to lose. Todd Nelson is coaching for an NHL job, some players are playing for contracts and those who aren’t owe it their teammates who are to play hard. At this point, I think most of us are just hoping for an entertaining game. I will never complain that I have to watch the games. I’ve had “real” jobs that were much more tedious or more physically demanding, but I will admit that I watch the games for different reasons now than I did at the start of the season. I focus on specific players more, especially at home games when you can watch their entire shift. I’m watching for little things. Is Martin Marincin more engaged in his own zone and in the tough areas? He has been. What is Nail Yakupov doing away from the puck? His work ethic is never an issue, but is he going to the right areas? I’ve seen an improvement, but like many young, skilled guys he is on the wrong side of the puck too often. He’s trying though. Anton Lander leadership qualities are becoming more apparent. He battles in the tough areas of the ice, and he’s showing he can be a complementary offensive player. If he can gain a bit more speed this off season he’ll be more effective next year. Derek Roy is very good offensively, but his defensive play on Steve Downie’s winning goal illustrate his defensive shortcomings. He has to make life harder for Downie at that time in the game. Tonight, I’ll be watching to see how the team reacts. They are 1-5-2 in the second game of back-to-backs, and Columbus is a hard working, grinding team. This will be a tough game, and while I don’t expect the Oilers to win, they have to show a desire to compete. Winning is the obvious goal, but this group needs to find a more consistent work ethic. 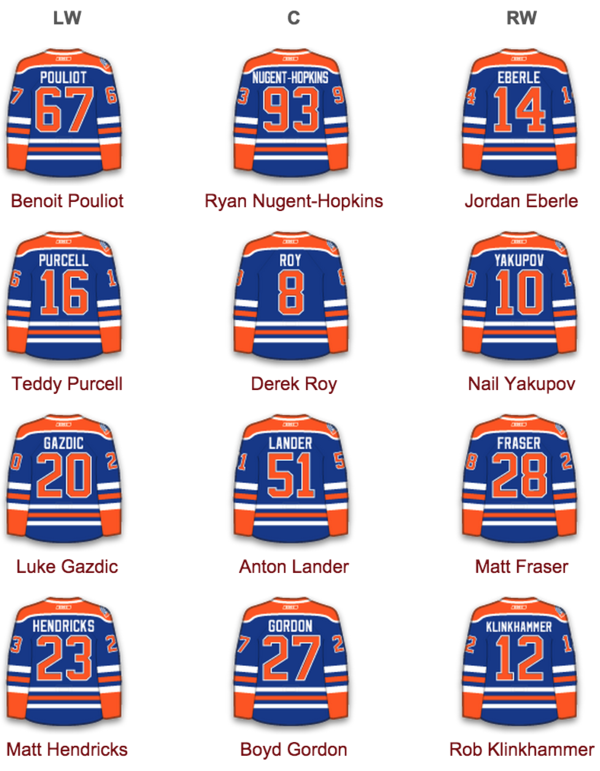 The Oilers didn’t skate this morning, but Luke Gazdic will draw in for Hamiton or Fraser. Nikita Nikitin will be a game time decision. Nelson hinted he might be ready, but they won’t rush him back. Scrivens will start after playing only 21 minutes last night. What an incredible race for the Presidents trophy. Six teams are tied with 91 points. This is the closest race at the top we’ve ever seen with a 30-team league this late in the season. Here are the standings on March 13th over the past 14 years. Cup winner in bold. 2001: Colorado 105, Detroit 95, St.Louis 91 New Jersey and Ottawa 89. 2002: Detroit 102, Philly and Colorado 84, Boston 82 and San Jose & Toronto 80. 2003: Ottawa 98, Dallas 95, Vancouver 93, Detroit 92 and New Jersey & Colorado 89. 2004: Tampa 95, Detroit 94, Philly 93 and Boston & Colorado 91. 2005: NHL and NHLPA break the hearts of their fans. 2006: Detroit 93, Carolina 92, Ottawa 91 and Buffalo & Dallas 89. 2007: Nashville 98, Detroit 97, Anaheim 95, Buffalo 94 and New Jersey 92. 2008: Detroit 100, San Jose 90, Dallas 89, New Jersey 88 and Pitt, Mont & Ottawa 87. 2009: Detroit & Boston 97, San Jose 96, New Jersey 91 and Washington 90. *Pittsburgh was in 11th with 79 points. Finished season with 8th most points. 2010: Washington 99, San Jose 96, Chicago 93 and Vancouver & Phoenix 87. 2011: Vancouver 99, Philly 91, Detroit & Washington 90 and Pittsburgh 89. *Boston was in 7th with 85 points. Finished season tied for 7th most points. 2012: St.Louis 98, NYR 95, Vancouver 92, Detroit 91 and Pittsburgh and Nashville 89. *Los Angeles was tied for 16th with 78 points. Finished season with 13th most points. 2013: Used April 10th (82.5% of GP) Chicago 64, Pitt 60, Anaheim 59, Boston 56 & MTL 55. 2014: St.Louis 97, Boston, San Jose & Anaheim 93 and Pittsburgh 92. *Los Angeles was tied for 8th with 82 points. Finished season with 9th most points. Today the NHL has played 82.4% of the total games and the Rangers, Blues, Canadiens, Lightning, Predators and Ducks all have 91 points. The Islanders have 90 and Pittsburgh has 88. Only twice, since the NHL expanded to 30 teams, has a team outside of the top-eight in the standings this late in the season went on to win the Cup. Pittsburgh in 2009 (and they finished the season with 8th most points) and LA in 2012. It is something to consider when you are making your Stanley Cup picks at the start of the playoffs. For Oilers fans here is where Edmonton was positioned on March 13th. Playoff years in bold. 2001: 81 points, 11th place. Finished 12th. 2002: 70 points, tied for 16th place. Finished 15th in points, but 9th in west. 2003: 76 points, 14th place. Finished 14th. 2004: 72 points, 18th place. Finished 17th and 9th in west. 2006: 76 points, tied for 12th place. Finished in 14th. 2007: 66 points, 24th place. Finished 25th. 2008: 73 points, 25th place. Finished 19th. 2009: 72 points, 17th place. Finished 21st. 2010: 49 points, 30th place. Finished 30th. 2011: 55 points, 30th place. Finished 30th. 2012: 59 points, 29th place. Finished 29th. 2013: *April 10th (82.5%) 22nd place 39 points. Finished in 24th. 2014: 54 points, 29th place. Finished in 29th. 2015: 47 points, 29th place. 1) Ryan Murray is set to return to the lineup in tonight’s game. The Blue Jackets obviously aren’t making the playoffs, so the development of their young players is the most important thing as we finish this season. Murray is at the forefront of that, so hopefully he can settle in, stay healthy, and finish off strong. Injuries have undoubtedly slowed down his development. 2) After recording just one point in 10 games, Cam Atkinson has found his way onto the score sheet picking up a point in consecutive games. He generally gets a lot of shots/chances so when they start to go the points really start to come in bunches. 3) Neither team is very good at even-strength, but the Blue Jackets have a decisive advantage in terms of special teams. If they can stay out of the box themselves they should have a good chance at winning this game, especially if Edmonton gets in any penalty trouble. 4) Columbus likes to play a power game, get pucks behind the net and work the defense. They should be able to do that tonight, as Edmonton’s defense isn’t overly good, and can be prone to turnovers in the defensive zone. Strong forecheck pressure should make that even more noticeable. 5) Marko Dano: 17 shots on goal and two points in his last five. As he gets more comfortable the points should continue to pile up. GAME DAY PREDICTION: The Oilers are 30-11-8 all-time vs. the Blue Jackets, but they are only 11-7-7 on the road. Both teams played last night, and they go to a SO, with CBJ winning 3-2. OBVIOUS GAME DAY PREDICTION: Eberle continues his hot streak. He has 11-19-30 in his last 31 games. He scores his 18th goal of the season. NOT-SO-OBVIOUS GAME DAY PREDICTION: Nikitin returns to the Oilers lineup and Ryan Murray returns (only 8th game this year) for the Blue Jackets. Murray ends up -1 with a 42% Corsi, while Nikitin is even and 48%. MacTavish is visually and statistically impressed. So…why Eakins wasn’t using Yak for PP? Thinking that myself but the answer is likely as simple as Eakins was not a good coach. The bad defense could still be what was Eakins did to the team that left behind. The players are still more or less trying to play swarm, so even after Eakins’ firing that he is still haunting the team. The ghost of the swarm? Probably. I also think it’s because our defence men are undersized and not too aggressive– they need 2 or 3 guys just to knock opposing forwards off the puck. I also notice that Scrivens often overplays the puck and is clumsy on his cross ice glide which usually results in a juicy rebound like on the Jackets 4th goal. We need him to close the door on rebounds and we need the defence to clear lanes. 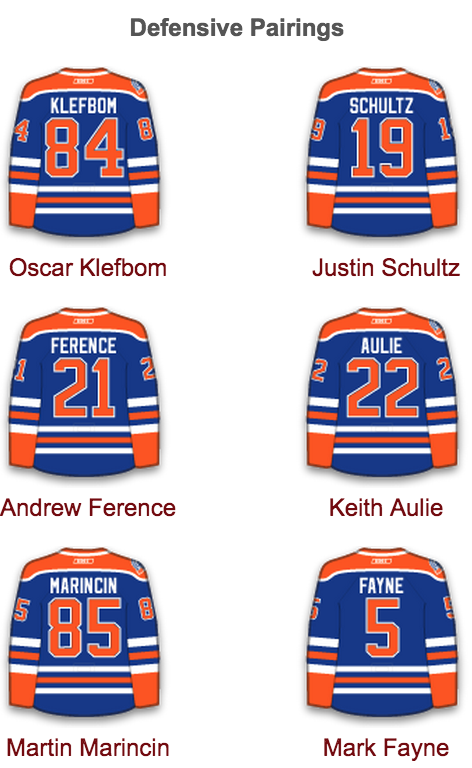 Funny thing is, Oilers actually have a very decent size of D corps by heights. Guess it is more of lack of experience and soft play that made them seem small. I think the problem is just that the defence is understaffed and in over their heads. When Schultz and K bomb are The first pairing , your defence just isn’t good. Nelson does not have them playing at all like Eakins did. Does anyone know if Scrivens wears a different kind of equipment than the other NHL goalies-seeing as he can’t control the puck and let’s it bounce of him like a basketball off the rim? 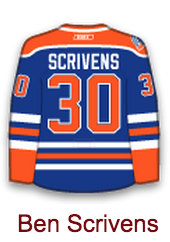 If I was scouting Scrivens the report would be force him to move cross ice or play the puck out of the net, failing that, shoot hard and low or blocker side and crash the net for the rebound. Scrivens always stands sideways waiting for the shooter to touch the puck. 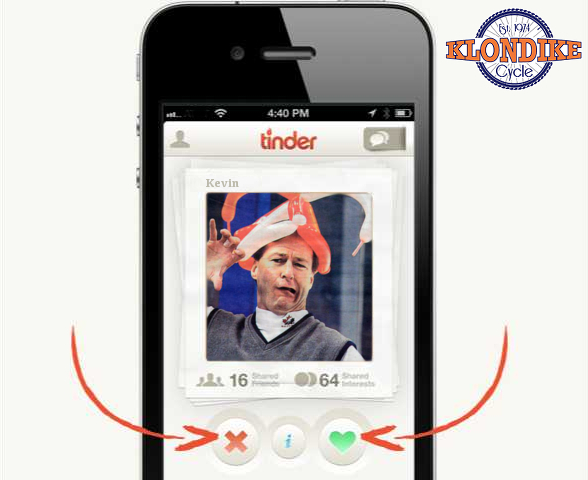 Turco used to do that. Strange little quirk, I wonder what’s the reason for that. So what’s the record now without Petry. Oil haven’t won one yet. Still think the team is a better one without him Mac T? On the other side other coin, I wonder in Bergervin is wondering if he overpaid. Habs are winless since Petry joined them. Amazing what happens when you have proper management, coaching and players with heart. All of a sudden a rebuild in Calgary looks promising. Again I ask, how’s is it possible that MacT and Blowe still employed! ?